Posted: Tuesday, December 27, 2016. 9:18 pm CST. Posted: Tuesday, December 27, 2016. 9:17 p.m. CST. 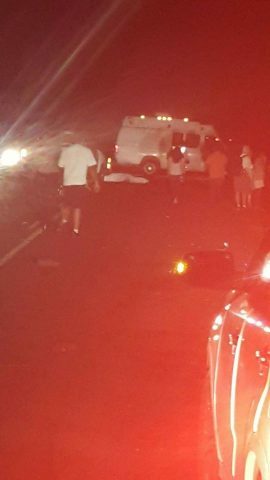 By BBN Staff: Reports reaching our newsroom is that there was a traffic accident on the George Price Highway in St. Matthew’s village a short while ago. An eye witness has confirmed to BBN that a man was seen lying in the middle of the road apparently dead. There is an ambulance on the scene. This is a developing story.